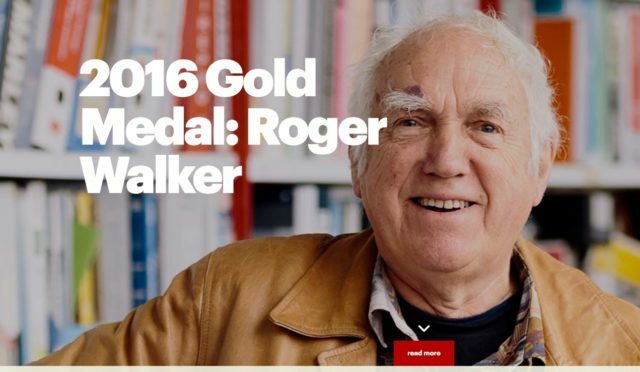 The New Zealand Institute of Architects has awarded its 2016 Gold Medal to Roger Walker. This is the highest individual honour an architect can achieve in New Zealand and is for an outstanding contribution to the practice of architecture demonstrated through a consistently high-quality body of work over a period of time. Read the NZIA’s citation and watch the movie about Roger’s life and work.